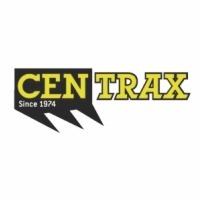 Centrax offers a full range of Ground Engaging Tools for most makes of earthmoving equipment. • Grader Blades / Overlays etc. Stockist of new link assemblies, track bolts and nuts, grouser shoes, rollers, sprockets and idlers for most popular crawler undercarriages. A certain amount of reconditioned and good used stock is also available. The factory caters to the restripping of grousers and the rebuilding of rollers, idlers and sprockets. In addition, pins and bushes are turned, or fit new ones to your link assemblies.